As you might know, is it time to start thinking about your Spring bulbs. 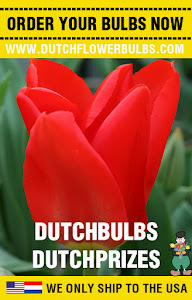 These are bulbs you plant in Spring and they flower in Fall. Today an article about Begonia's, they have been adored for shade gardeners. 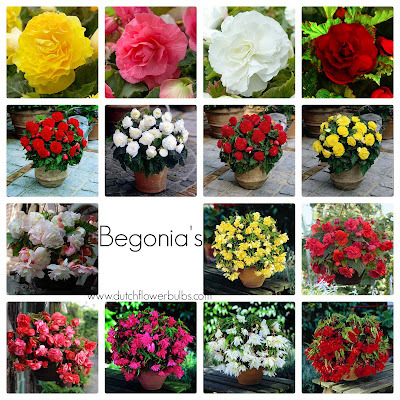 There are different kind of species, we do sell the: Non-Stop Begonia, Double Camelia Begonia and the Hanging Begonia. ~ Find a well-drained spot in your garden to plant your tubers, so overflowing water can easily flow away. (If you use pots or hanging baskets make sure it has holes, Begonia's don't like wet feet. ~ Use well-drained, organic soil. ~ After planting, water the tubers good but not to good. ~ Don't cut off the foliage, leaves or stalk.